All your files- anytime, any place, anywhere. 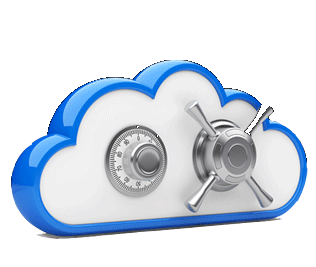 At FVD, we believe cloud storage should be 3 things. Firstly, it should be secure, because there's no price we can put on your personal data. Secondly, we believe it should be convenient, which is why you can access our cloud service from your desktop, mobile or tablet, using both iOS and Android apps. And lastly, we believe it should give you true online freedom, which is why we offer a gargantuan 500GB storage space for less than £1.20 per month! Our cloud backup packages provide daily online computer backup to make sure you're storing all your latest files in a safe and secure place. Our packages also provide access to up to 30 previous versions of any file and offers a 30 day restoration services to reinstate any files that have accidentally been deleted. Download our app and access your files from iOS and Android devices. These professional cloud packages combine both the cloud backup and the cloud sync features to give an all-in-one superior cloud service, with unbeatable storage space! You get speed, performance and great support from us. We've got years of experience behind us and currently hosting over 75,000 websites. Don't take our words for it, check out these independent reviews from our customers. We own and operate our own servers in our data centre in Bournemouth, UK.